"A delicious sweet treat that uses just three simple ingredients!" 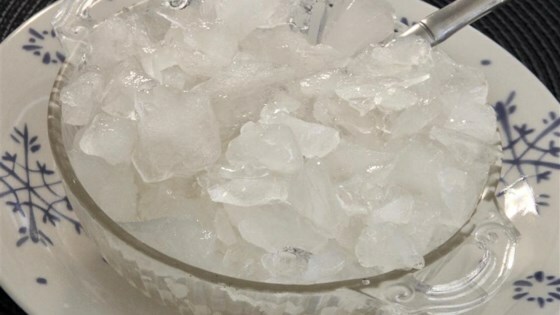 Combine crushed ice and confectioners' sugar in a small bowl. Stir in vanilla extract. Freeze for 5 minutes. Substitute white sugar for the confectioners' sugar if desired.